As Madhya Pradesh heads for polling on November 28-- Wednesday, political observers have identified at least 16 such bellwether seats which might make or break the saffron rule in the state. A win in MP would widen BJP’s advantage while a win for the Congress would give a major boost to it and steer it forward. Image credit: PTI Ready to ride high for the 16th time in MP. 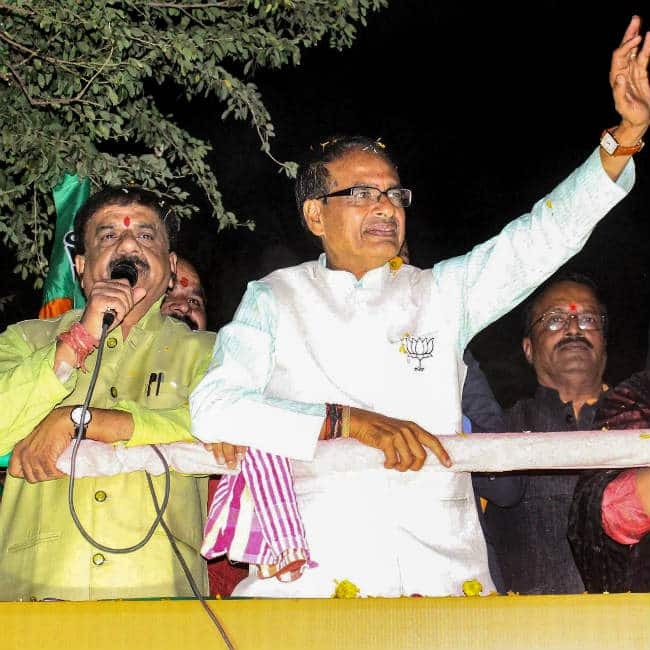 Shivraj Chouhan exudes confidence during a campaign rally. Madhya Pradesh Chief Minister Shivraj Singh Chouhan addresses a rally ahead of Assembly elections, in Jabalpur. Image credit: PTI PM Modi launches full-voltage attack on Congress, with just a few hours ahead of the MP polls. 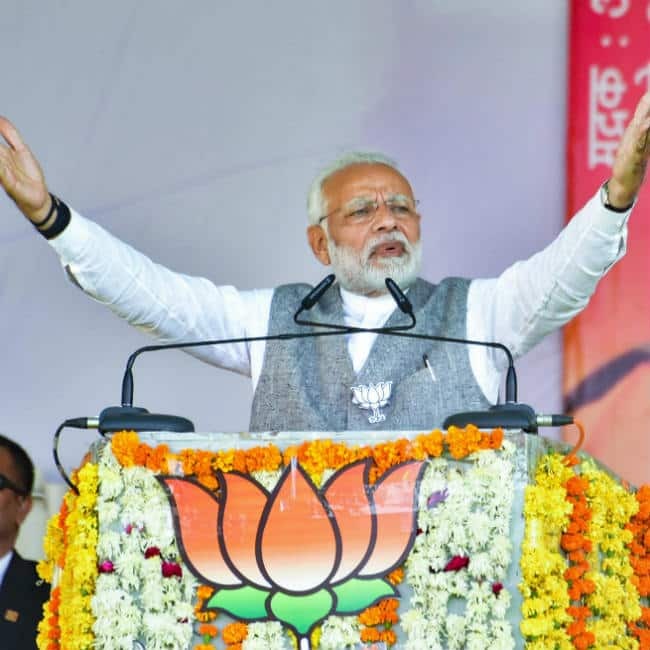 Prime Minister Narendra Modi addresses a public rally ahead of State Assembly elections, in Chhatarpur. Image credit: PTIRahul Gandhi reiterates Congress' promise of waiving off farm loans, halving power bills and ensuring justice to the daughters of the State. 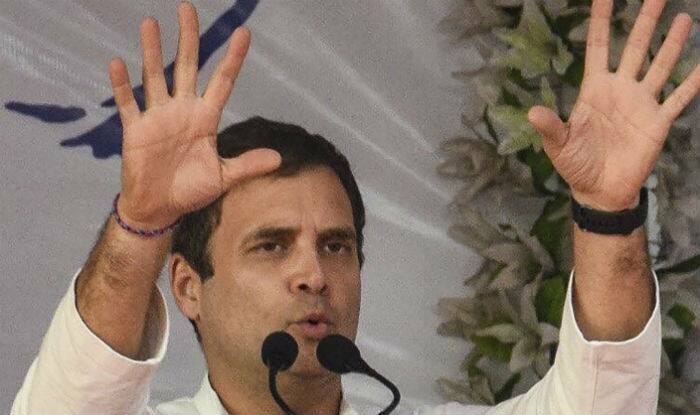 Congress President Rahul Gandhi addresses an election rally in support of party candidate Arun Yadav at Nasrullaganj in Sehore district of Madhya Pradesh. Image credit: PTIPM Modi's high-octance campaigning comes to an end in the State. 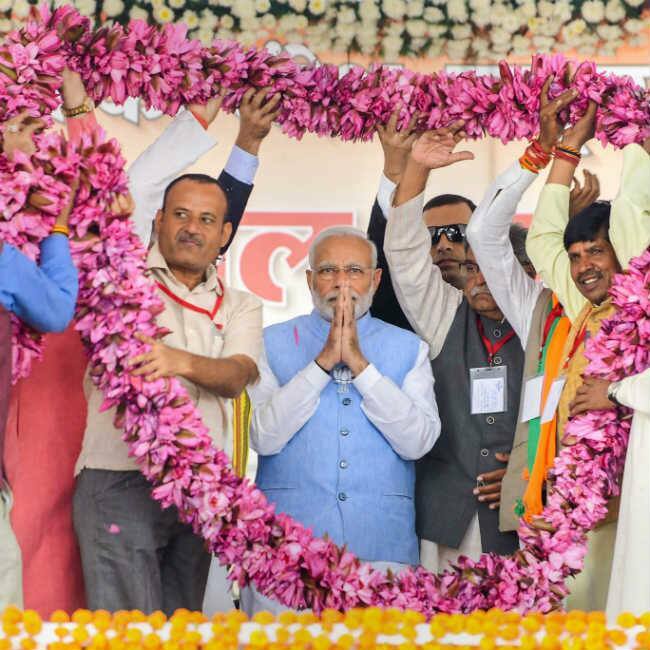 Prime Minister Narendra Modi being garlanded during a public meeting for Madhya Pradesh Assembly elections campaign, in Vidisha. 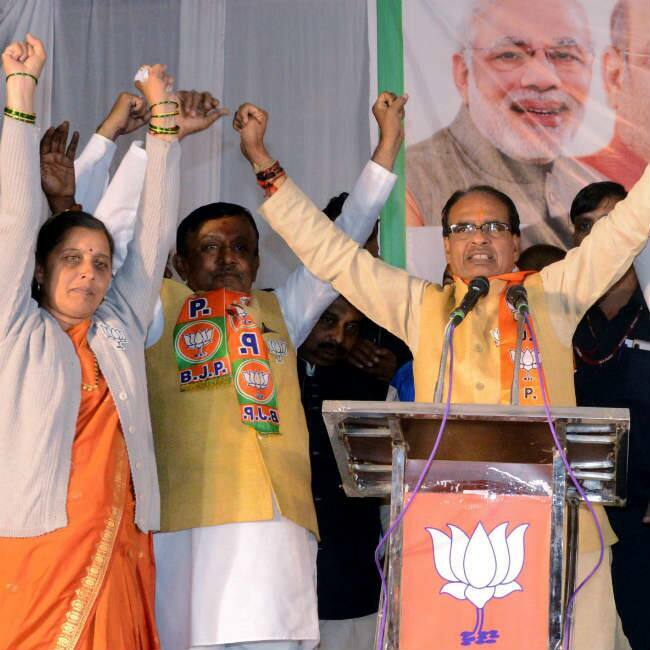 Image credit: PTIWill 50 million voters make BJP fourth-time lucky in MP? 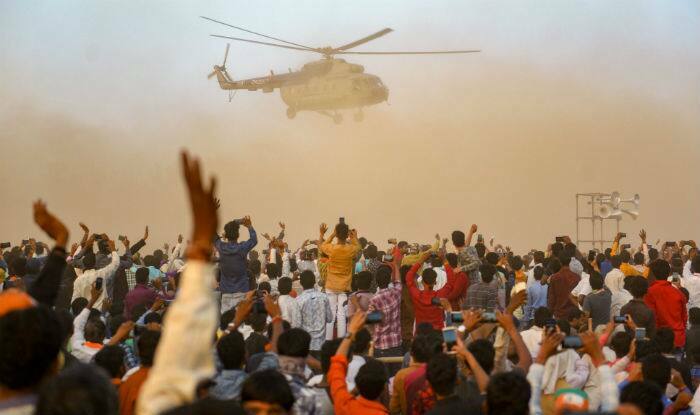 BJP supporters wave at Prime Minister Narendra Modi's chopper during a public rally ahead of the State Assembly elections, in Mandsaur. Image credit: PTIChouhan promises bonuses to small farmers ahead of polls. Will this work in his favour? Image credit: PTIWill PM Modi determine Madhya Pradesh's win this 2018? 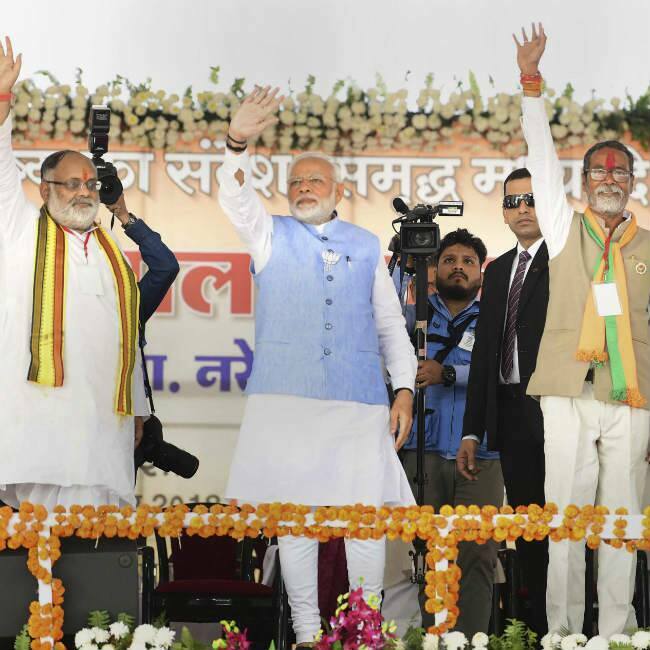 Prime Minister Narendra Modi waves at his supporters during a public meeting for Madhya Pradesh Assembly elections campaign, in Vidisha.